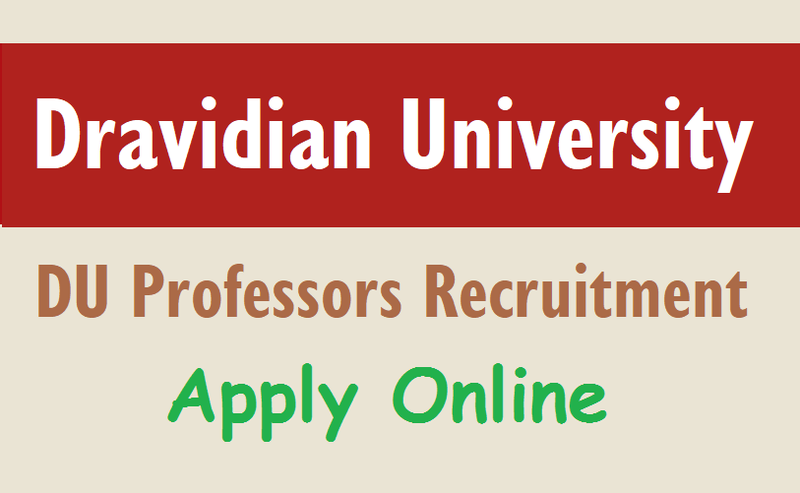 Dravidian University Assistant Professors 2018 Recruitment, Dravidian University Recruitment Application Form. Online Applications are invited from the eligible candidates for the posts of ASSISTANT PROFESSORS (09) in different Departments. For Registration, Submission of Online Application, eligibility criteria, roster-wise vacancy position etc., please visit the website http://sche.ap.gov.in/ASSTPROF/Masters/HOME.aspx and go through the link with University website www.dravidianuniversity.ac.in. Filled in online application along with acknowledgement of Registration fee can be downloaded and the printed copy shall be submitted along with necessary documents to The Registrar, Dravidian University, Kuppam-517426 on or before 14.02.2018 by 5.00 P.M.